There’s one thing I certainly look forward to Indian summers for and it is not the scorching sun. You guessed it right, summer to me is synonymous with mangoes. Raw or ripe any size or shape I just love them. It’s not summer, neither spring here, I know. But that did not stop me from craving for some. 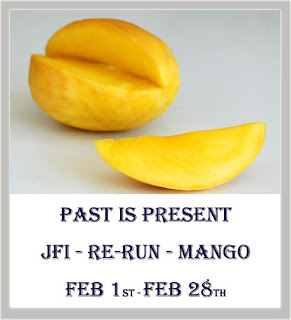 Mango is a seasonal fruit and when one has a craving, one has no choice but to wait for April or sometimes May to savour the unique taste of the king of fruits back home. You know, I have been prejudiced in the past about Mexican mangoes (confession!!). Come on, anyone who has grown up with the taste of Indian Mangoes will almost involuntarily patronize nothing other than Indian. Ironically, when I was hit with this intense craving for my mom’s Maangai Thokku that day, I wasn’t in a position to discriminate. Good for me, because when I found some raw mexican mangoes in the nearby grocery store, to my surprise, I was happier than I thought I would ever be. And without much delay the next day, Mango Thokku came alive in my very own kitchen. Sometimes, we have to give it to our cravings for helping us get past such food prejudices! And my verdict ~ mexican mangoes are not bad at all, agreed they are not as sour when raw or as sweet when ripe, but I made my peace with that. All is well that ends well, for good reason! 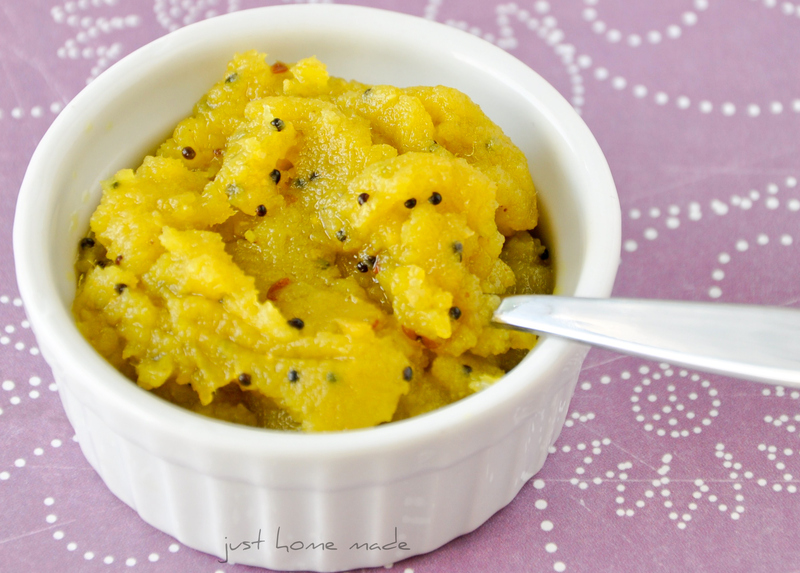 Mango chutney has been made famous internationally thanks to numerous Indian restaurants and passionate chefs. But this one I am talking about is seldom part of the restaurant scene. Thokku is neither a chutney nor a pickle, it is half-way in between. It is homestyle, mostly derived out of a simple need to savour the seasonal fruit past its season with a little help from oil as the basic preservative. Not the best of analogies may be, but consider it to be somewhat like a pesto, except cooked (without the nuts and cheese of course). See, I did add the disclaimer. And for the taste, I can bet on those mexican mangoes if you find this chutney anything less than finger licking good! In a blender grind the raw mango chunks, green chillies, methi seeds and salt to a smooth paste without adding water. Heat 1 tbsp oil in a kadai/wok over high heat. 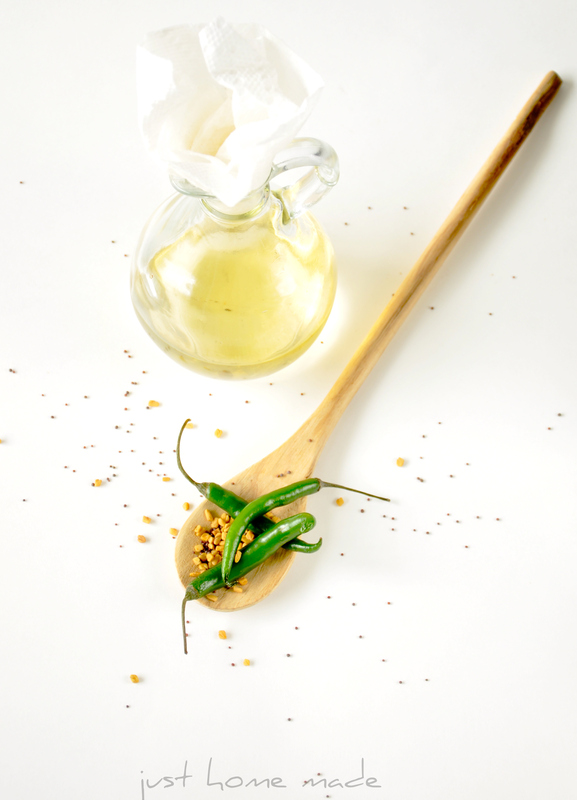 When the oil is hot enough but not smoking, add mustard seeds (add a mustard seed to check if the oil is hot, should splutter immediately). When the mustard seeds start spluttering, reduce heat to medium and add hing/asafoetida, turmeric immediately followed by the mango paste and stir to mix well. Cook the mango paste well adding a tbsp of oil at a time stirring intermittently until all the oil has been incorporated and the mango chutney comes together as one lump leaving all sides of the kadai. And you’ll also notice the sizzling noise almost dies down. Because it is oil cooked, when properly done this chutney stores well for up to a couple of weeks at room temperature and longer when refrigerated. Just make sure of an oil layer at the top to prevent contact with moisture. Store in a non-reactive glass container with an air tight lid. If the lid is metalic, add a cling wrap as a barrier between the jar and the lid to prevent the lid from corroding. Serving Suggestion While it tastes heavenly when mixed with hot rice and ghee/oil, it tastes equally good as an accompaniment for Dosa, Idli, Chapati, on sandwiches, you name it. Note Use fresh ingredients and completely dry utensils and spoons. Avoid Aluminium, brass or cast iron utensils as they react with the acid in the mango. Stainless steel utensils work best to cook this. 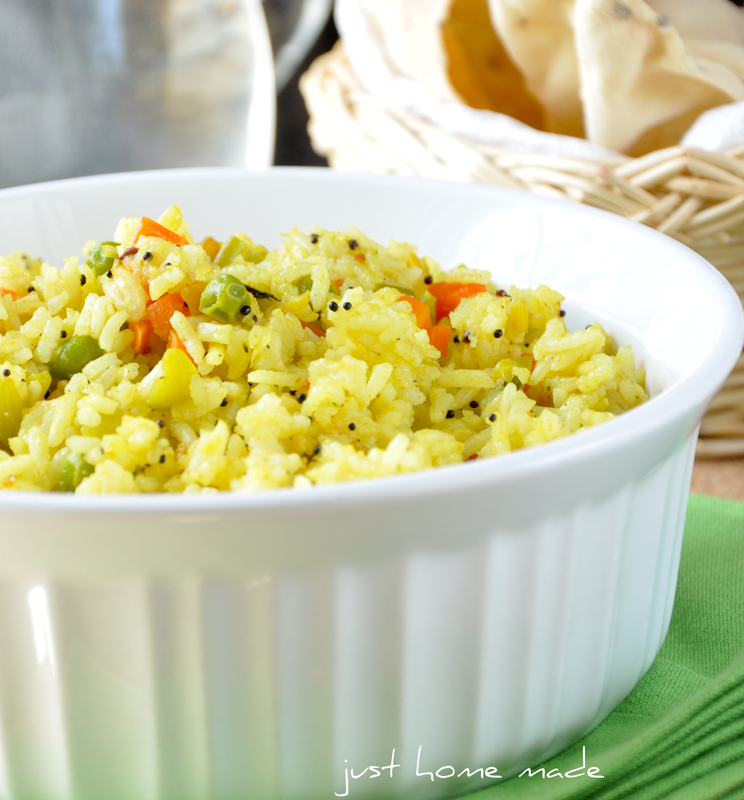 Here’s a simple recipe for a one pot meal with Mango Tokku and vegetables, that we adore. Place oil in a medium kadai/saucepan over high heat for tempering. When the oil is hot enough and shimmering but not smoking, add the mustard seeds. 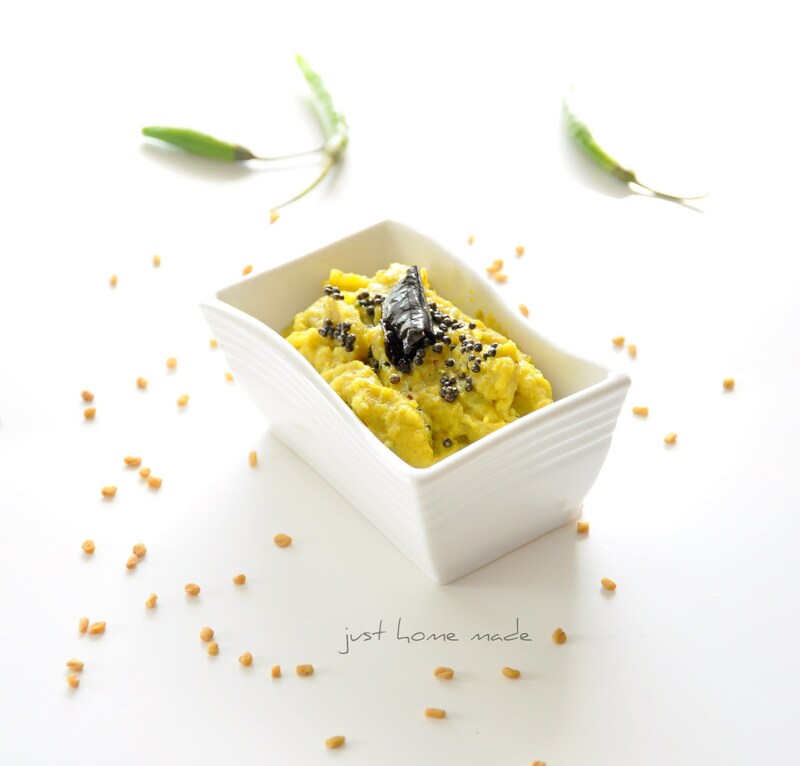 When the mustard seeds start spluttering, reduce heat to medium and add hing, chana dal, urad dal, torn chillies, curry leaves in that order and sauté until the lentils turn golden brown and green chillies show white spots. Add turmeric followed by chopped carrots and peas, sauté for a bit and let cook covered until the carrots are soft and can be cut with a spoon. Sprinkle salt, grated Kobri and mix well and simmer for a few minutes. Switch off the stove. 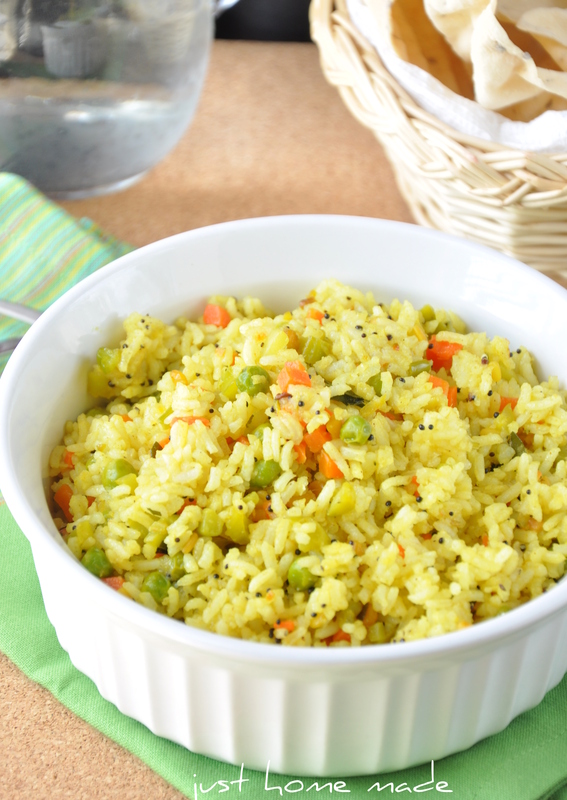 Spread the rice on this veggie mixture, add mango thokku and mix well to combine. Adjust salt if needed. Mix with puffed rice (puri/murmura) along with fried peanuts and curry leaves for a spicy snack. 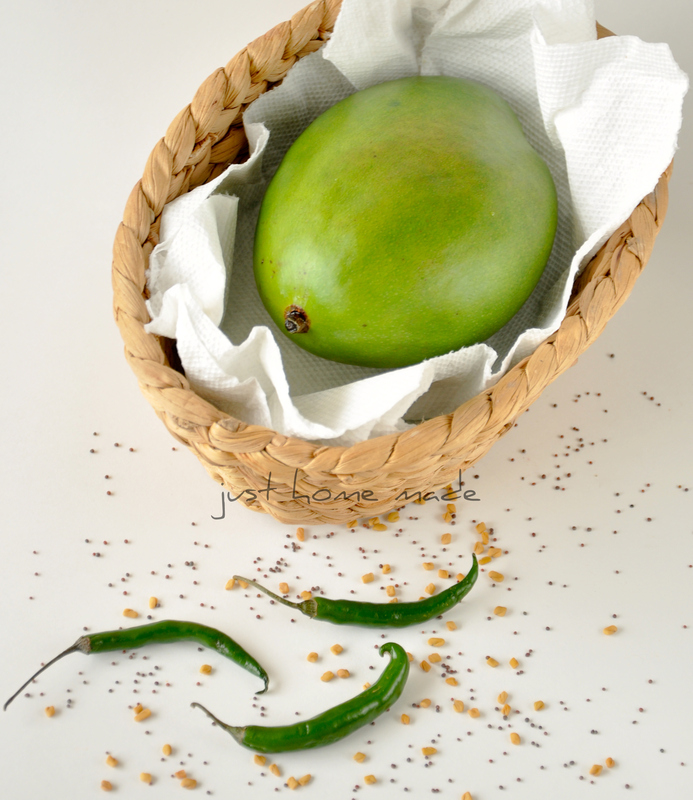 Mango Thokku always comes first when I think of green mangoes. It surely is a tongue tickler..I drool just at the thought of it! that looks gorgeous..im a big fan of thokku..
Amazing post Radhika… just loved the freshness of ingredients, this is looking so inviting and refreshing, I wud love to try this special version of urs. Cheers ! your dishes look yum ! will definitely try them…. you can also view n follow my blog http://kitchensojourn.blogspot.com/ .. will be really happy ! This looks so amazing! Love raw mango spicy preparations. @nisha – thank you, it doesn’t take long to become a fan, right? 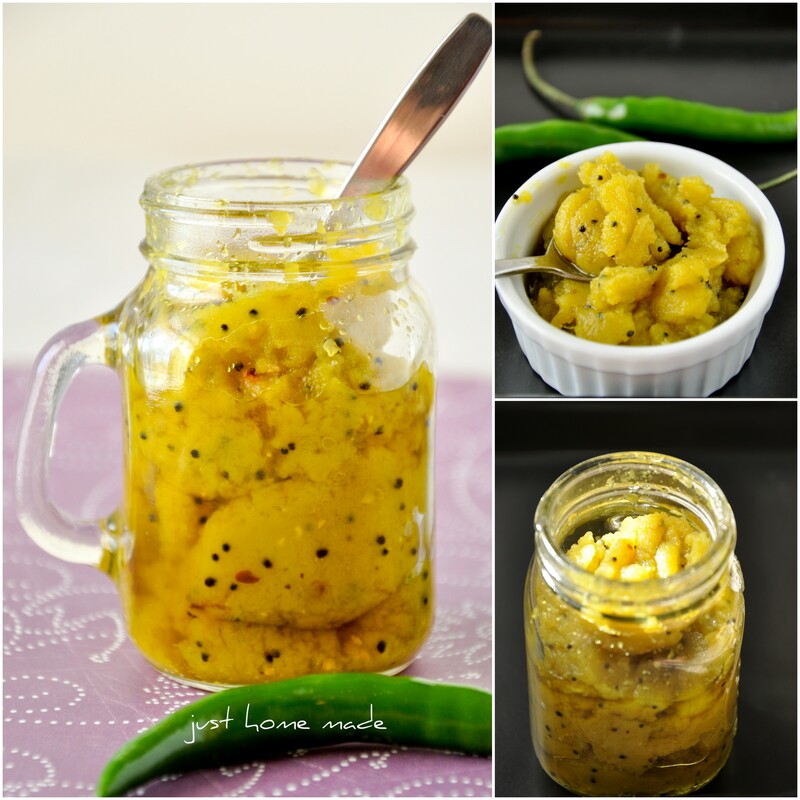 @sonia – I wish you get to make this version of mango chutney. Am sure you’ll be making more than once! @aisha – thank you. your gajar ka halwa looks yum. It is one of my favorite indian desserts. 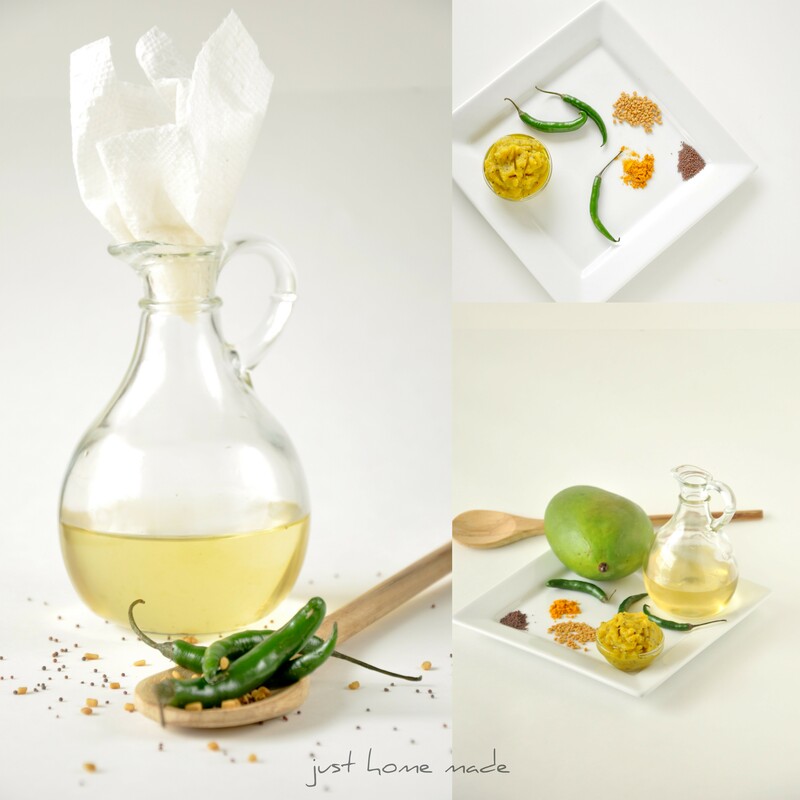 @anushruti – I am such a fan of your recipes. Whenever I have something sweet & eggless to make, I find your site first on google. Such a wonderful resource! @rsmacaalay – Thank you. “Ang sarap” indeed. Congratulations! on being featured on Philippine Digest Magazine (March 2011).